The ground breaking Tate Modern extension pushes the boundaries of modern design and engineering. From its one-of-a-kind geometric structure to its striking brick façade, every facet of this building has been planned and engineered with staggering accuracy. 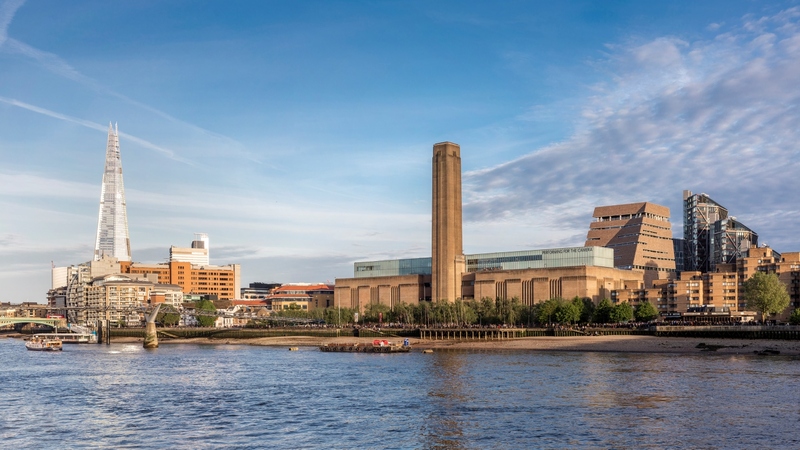 Tate Modern is the world’s most visited museum of modern art and is now also the UK's most visited attraction (2018). The extension has enabled an increased display space of 60%, which was hugely welcomed, as visitor numbers since its opening in 2000 exceeded all expectations, averaging five million annually and since the Blavatnik building opened visitors numbers have grown to 5.9 million. Appointed by the Trustees of Tate, Ramboll’s role in the Tate Modern extension began in 2008. Our work included structural, geotechnical, civil, and façade engineering and environmental consultancy. The Tate Modern extension has been built on top of its three awe-inspiring disused oil tanks. Positioned in a clover leaf shape, each one spans approximately 30m and are located 9m below ground. Two of the three oil tanks create new unique gallery spaces for large-scale artists’ installations, performances and film. Additionally the re-building of part of the existing Switch House and relocation of its switchgear has also freed up three 18m span floors of gallery space. Rising above the oil tanks is the new building’s complex form, with an irregular ground plan largely dictated by the constraints of the site. Rising in a truncated twisting pyramid, the building has sharp corners and inward creases, breaking the façade into interesting geometries — in response to the rectilinear monumentality of the power station. Tying the buildings together visually are the external materials, where the brickwork forms a sloping perforated screen encasing the building, punctuated by a series of windows. The two buildings connect at levels 00 and 01, and at 04, via a new link bridge. At the double-height top floor, glazed curtain-walling is set back from the façade to form a roof terrace with 360o, views of the River Thames, St Pauls Cathedral and London’s skyline. Ramboll has collaborated and coordinated with the client, design and construction teams in the delivery of Tate's vision and Herzog & de Meuron's architectural interpretation for Tate Modern's extension, a truly multi-disciplinary collective effort. Watch the video of members of the project team talk about the journey, the vision and the extraordinary challenges that were overcome to create the new iconic Tate Modern.